One of the premier autoharpists in the world, Adam Miller is a renowned American folksinger and natural-born storyteller. Miller accompanies his rich, resonant baritone voice with lively finger-picking acoustic guitar and stunningly beautiful autoharp melodies. A masterful entertainer who never fails to get his audience singing along, he has distinguished himself as one of the great interpreters of American folksongs and folktales, and as a performer who appeals to audiences of all ages. Adam Miller began his lifelong pursuit of collecting old songs while still in grade school. Armed with an audio-graphic memory and an uncommonly good ear for melody, his childhood ambition was to learn every song he heard. An accomplished folklorist, historian, and song-collector, he has now amassed a remarkable repertoire of over 5,000 songs. Traveling 70,000 miles a year, this 21st-century troubadour performs over 200 concerts annually, from the Everglades to the Arctic Circle. Over 1.5 million American K-12 students have attended his Singing Through History! school assembly programs. He has performed in over 2,000 American public libraries in 48 states. A performer who enlightens as well as entertains, he points out fascinating connections between events in history and the songs that survived them. And like radio’s Paul Harvey, he manages to give you “the rest of the story” — providing the often surprising provenance of seemingly innocuous folksongs. “I have always had a great interest in how folksongs travel through history, and how history travels through folksongs,” says Miller. He has recorded six CDs that receive airplay across North America and Europe. 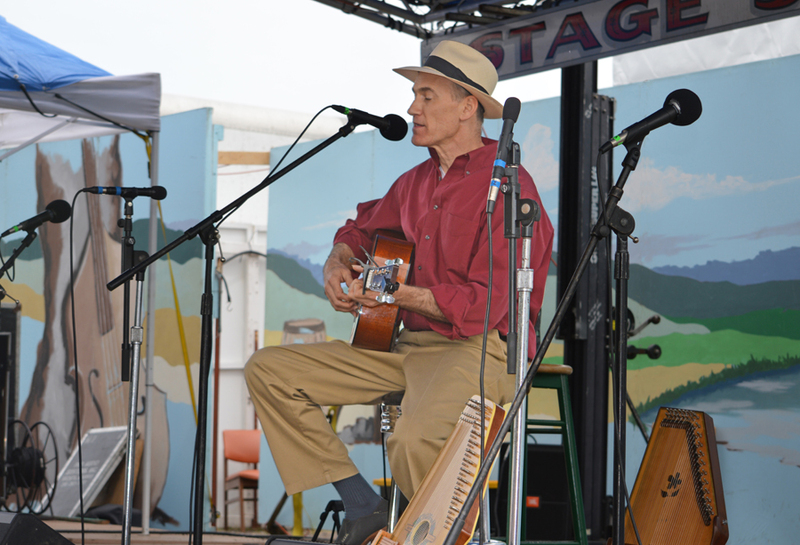 His numerous appearances at the Walnut Valley Bluegrass Festival, the Brookdale Bluegrass Festival, the Tumbleweed Music Festival, the California Traditional Music Society’s Summer Solstice Festival, and the Kentucky Music Weekend have made him a national favorite.